When it comes to value, paintings rule the art market. Paintings, more than any other medium, including drawings, prints, photographs and sculpture, etc., make up the lion's share of revenue at most major auction houses each year. In 2018, world records were shattered when a painting attributed to Leonardo da Vinci became the most expensive work of art ever sold, with a final hammer price of $450 million. Though it's becoming more and more common for paintings to fetch nine-figure sums at auction, the vast majority (92 percent in 2018) of paintings sold are valued under $50,000. Determining the value for a painting can be a complex process. Factors to consider include: the artist, style, date of creation, provenance and condition. In some cases, even the medium can have a direct bearing on the value. For example, paintings executed on canvas tend to be more valuable than those painted on board, panel or paper. Size can also be a factor. Generally, the larger the painting is, the higher the value tends to be and vice versa. To have the most accurate and up-to-date value of your painting, it is necessary to have it appraised. At Mearto, we specialize in low-cost, quick turnaround online appraisals. Simply fill out our easy-to-use online form and send us several detailed photographs of the painting. We like to see the front, back and close-up shots of any relevant details, including the signature. Be sure to give a detailed description of the painting, including its medium, style and condition. It is also helpful to provide thorough information regarding the painting's provenance, also known as its ownership and exhibition history. One of our experts will review all of the information and photographs that you submit, determine your painting's fair market value, based on comparison with recent auction results for similar works of art, and respond with an online appraisal within 24-48 hours. Do you have questions? Ask your expert! We are more than happy to explain how we arrived at the assigned value. Would you like to sell your painting? We can help with that, as well! Why are paintings important in history? According to the Metropolitan Museum of Art, "Art from the past holds clues to life in the past. By looking at a work of art's symbolism, colors, and materials, we can learn about the culture that produced it." Throughout history, from the cave paintings at Lascaux to contemporary works, painting has been an important part of the human experience. It's impossible to know exactly how many paintings exist, but using the broadest definition possible, we can easily assume that there are billions in existence. Painting is a broad term, which generally refers to a practice of applying paint, pigment or another medium to a solid support surface or base. The chosen material is usually applied to the surface using a brush, but knives and sponges are also common. Painting is an essential component of the history of art and usually depicts figural subject matter, landscapes or completely abstract compositions. Because paintings are so important to our collective history, they are usually highly desirable amongst collectors, who perhaps see the art form as the pinnacle of the fine art category. Simply put, demand drives price. 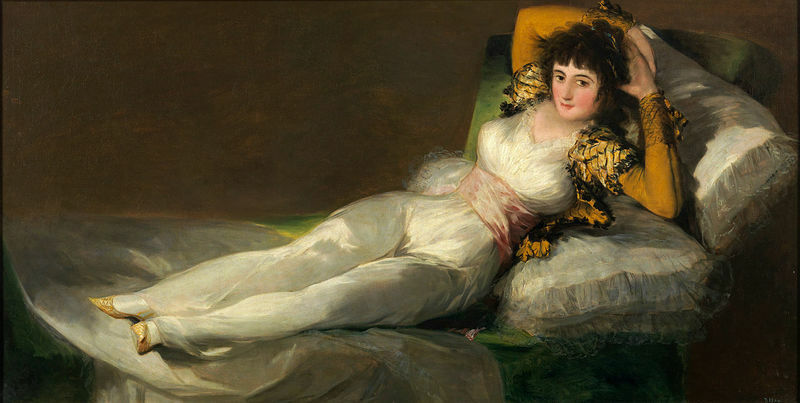 However, there is also quite a large supply of paintings, thanks, in part to the relatively low cost of production and the fact that painting has been part of the common education for the middle class and nobility since the 18th century. Therefore, it is possible to acquire inexpensive - but still quite significant and beautiful - paintings. It is our most popular category for online appraisals and our experts are well-versed in the factors that impact and determine a painting's value. How can I tell if my painting is valuable? The most valuable paintings are by recognized and sought-after artists, but this does tend to change with the tastes and trends of the day. One thing that remains constant is the demand for authenticity and pristine provenance. Is your painting signed? That's a good indication of potential value, but it doesn't always mean that the painting is authentic. Many artists did not sign all of their paintings and a signature is relatively easy to forge. The best way to verify authenticity is through a combination of connoisseurship (expert opinion), provenance research and - in some cases - scientific analysis. Being able to trace the ownership of a painting all the way back to the artist - with supporting documentation - is also necessary if you want to get the highest price for your painting. How much does it cost to have a painting appraised? Mearto can provide an online appraisal in 48 hours for just $17. We provide the fair market value, or what you could reasonably expect to sell the painting for if you took it to an auction house tomorrow. If you need to know the value of your painting for insurance or taxation purposes, we recommend hiring an independent appraiser near you. Rates normally start at $150 per hour. Search for appraisers in your area in our directory. Would you like to sell your painting? We can connect you with auction houses that are interested in taking qualified items on consignment and will provide a free online appraisal of your painting. Click the "Start Appraisal" button below to get started! Do you have a painting you want to sell? It’s actual market value might be higher than you think. With the boom in the art market, recent years provided increasing prices on all art works, but especially paintings. Oil on canvas, watercolor, acrylic or mixed media, paintings are considered an investment and tangible assets. When it comes to valuing paintings, the condition, artist, origin, provenance, material, school and size are the main characteristics that experts look at in order to determine the market value and estimated price. If you want to find painting appraisals or valuation, fill out our form and send us detailed photographs of your painting including the artist signature and condition marks. If I submit a painting for appraisal, am I obligated to sell the collection of paintings? No! We will only appraise your painting but can help you find the right auction house to sell your painting online. Are there any hidden costs or fees with an online painting appraisal? When will I get my online painting appraisal? We guarantee your antique painting appraisal within 48 hours on weekdays, but most often it is faster. Can I ask the specialist a question about the value of my painting? Can you appraise any painting? What happens after I receive the appraisal of the painting? 40" x 50" original oil painting by Ron Stewart. Commissioned in late '80s for Dr and Mrs Flowers of Memphis TN for $12000. Similar painting, "Autumn Morning" by Mr Stewart now selling at Cultural Patina for $21000. Other similar paintings in size by Mr Stewart selling for $23000 plus. This is a large beautiful and unusual painting measuring 61" x 61" on canvas. It has a machete type application simulating waves breaking on rocks? It has textured 3d effect. I believe it is from a Japanese artist. My mom acquired the piece in the 70's or 80's and I recall her saying she paid $10,000 at the time. One of the photos shows the artist's mark. Needs good cleaning from storage. Gilded frame, canvas painting approximately 36" x 28"